Using MakeCode and Circuit Playground Express you can make interactive projects using lights and sound. In this project we'll build a custom PCB for the CPX and use capacitive touch to make a playable mini synth instrument. Build your own capacitive touch pads using copper tape, bare conductive paint or other electrically conductive material! 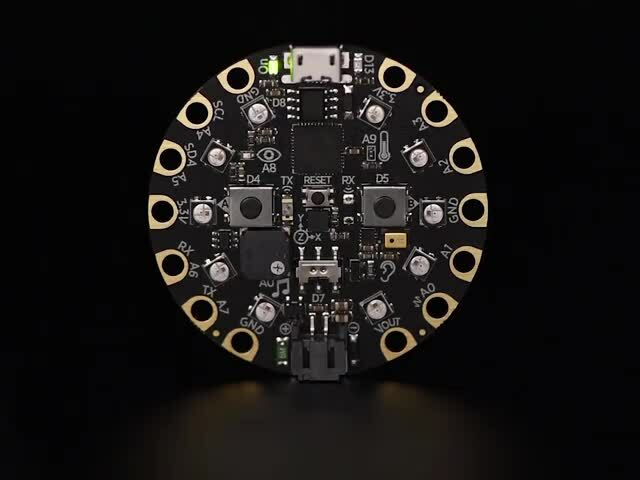 The code used in this project works the same with any conductive material. This project uses both processes to create a custom synthesizer that is simple to use. This guide will cover basics of using the Bantam Tools Desktop CNC and Eagle CAD to create PCB shields for the Circuit Playground Express. This guide was first published on Jun 27, 2018. It was last updated on Jun 27, 2018. This page (Overview) was last updated on Apr 23, 2019.